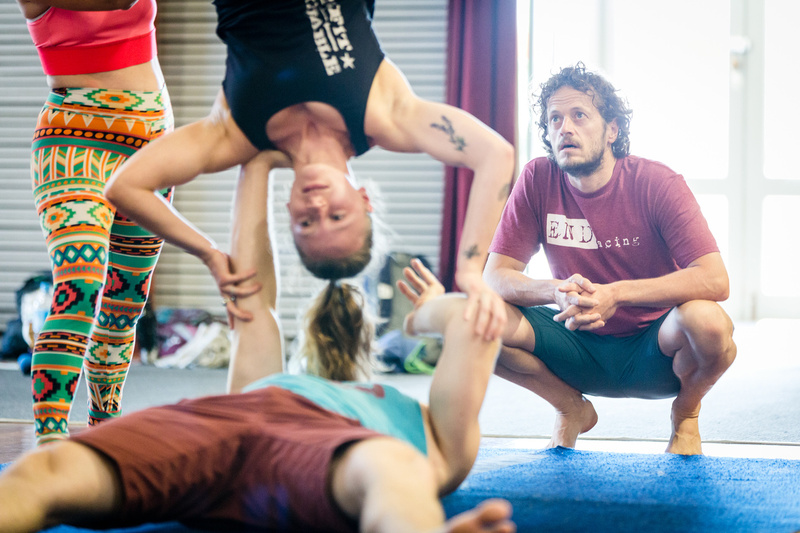 In this 15-hour acro intensive with Jason and Chelsey, we’ll explore a systematic and progressive way to approach the shift from advanced beginner to intermediate and intermediate to advanced– giving you tools to take your practice to the next level. We’ll work throughout six acro modalities: standing, handbalancing, popping, inversions, spinning/rotation, and monolimb work. This will also serve as an add on to our Acro Mastermind Teacher Training. Students can use this as a way to level up, brush off their skills or just come play before the teacher training starts! ** If you are a local, Please email jandc@jandctraining.com to direct deposit to our NZ account! This training is for intermediates and up. The cost does NOT include accommodation. Please book your rooms as soon as possible. If you have questions about your ability, please contact Jason and Chelsey at jandc@jandctraining.com.